Ranking Member Peter DeFazio (D-Ore) agreed with the need for long-term, stable transportation funding, but was skeptical of the mechanism proposed by the Administration to fund its GROW America proposal. He cautioned that it likely would not be approved by the current Congress. DeFazio asked Secretary Foxx if he had a “back-up” funding plan, to which Foxx replied the Administration is “all ears.” Rick Larsen (D-Wash) followed up on DeFazio’s point, pointing out the Administration’s repatriation proposal is a “one-time” fix and that a longer term solution is needed to address transportation funding. 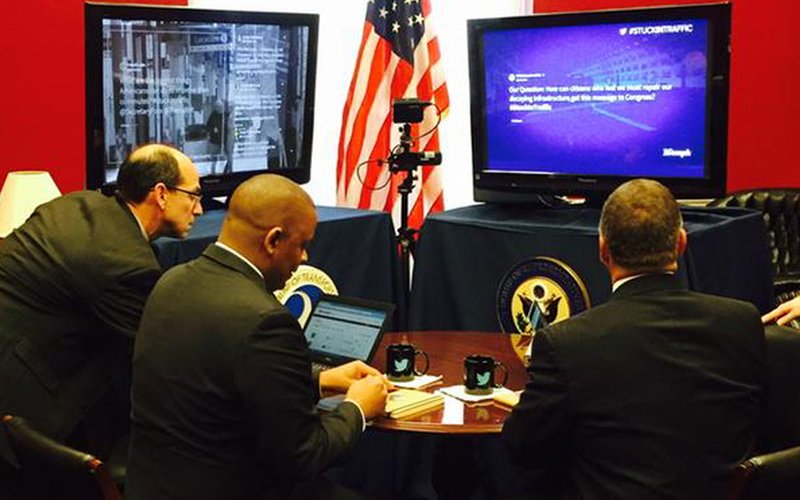 Shuster and Foxx moved from the committee hearing to co-host a “Twitter Town Hall,” where they fielded questions about the nation’s transportation network. ARTBA tweeted its 50-state map highlighting that the Highway Trust Fund is the source, on average, of nearly 52 percent of all state highway and bridge capital investments annually. The ARTBA tweet was subsequently re-tweeted by others. The T&I Committee will hold its second reauthorization hearing February 26.